Smartphones are generally our favorite gadget. Here’s our pick for the smartphone you should grab this holiday season and some great accessories to go along with it. 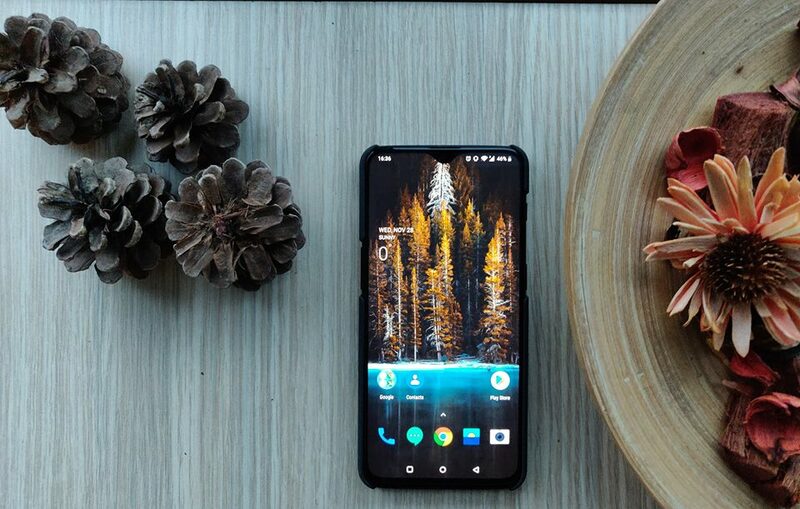 OnePlus has always been known as a company that sells good phones for a good price, but this year’s OnePlus 6T is its best phone yet. At under $600, the OnePlus 6T offers class-leading specs, a great UI, and fantastic build quality. The device is topped off with an under-display fingerprint scanner, one of only a handful of devices to feature the unique scanning technology. You can grab the OnePlus 6T at OnePlus’ website and at T-Mobile. If you’re looking for protection, there’s not a better name in the game than Spigen. The company makes several lineups of cases, but our favorite is the Rugged Armor line. It combines great looks, solid protection, and a slim feel for the perfect case. You can find it for just about any phone and it at only $12, it’s a steal. You can get the Spigen Rugged Armor on Spigen’s website or Amazon. Smartphone cameras are getting better every day, but there are certain things they can’t do. To up your game, you may want to consider the Olloclip Multi-Device clip. It allows you to shoot in super-wide, ultra-wide, telephoto, fisheye, macro, macro 7x + 14x, and macro 21x with optional lenses. It is truly the jack of all trades when it comes to smartphone photography. You can read our read our whole review here or pick one up from Olloclip’s website. Not all tech needs to live in your pocket. Here are some of our picks for our favorite tech you can wear too. There are a ton of Wear OS devices out there, but the TicWatch Pro is one of our favorites. It features two displays, your standard display that allows you to swipe through notifications and reply to text messages. But, the magic happens when that display turns off and the second display shines through. It’s an OLED display that only shows the time and a few other vital pieces of information. It’s a real battery saver! You can read our full review of the TicWatch Pro or pick one up Mobvoi or Amazon. If a smartwatch is a bit much, you may want to consider the HUAWEI Band 3 Pro. It comes in white, black and blue and offers smartwatch-lite features. You can still get notifications from almost any app you choose and notified of incoming messages. You can even decline calls right from your wrist. But the true power of the Band 3 Pro is its tracking features. It has built-in GPS, heart-rate tracking, and sleep tracking. Add in that it’s incredibly comfortable to wear and tracks your sleep and you have a winner. You can grab the HUAWEI Band 3 Pro from Amazon and B&H Photo for about $70. Not all wearable tech fits on your wrist! That’s where the TYLT Traveler Power Bag comes in. With a ton of pockets for your everyday essentials, some hidden compartments for your valuables and an included battery, the TYLT Traveler Power Bag is perfect for the techie on the go. It comes with a 5,200 mAh battery and included cables. That should be enough to charge up your phone, but if you need a bit more, you can grab a bigger battery and swap them out. The compartment is big enough for a large 20,000 mAh battery! Between the battery and the incredible build quality, we can’t recommend this bag enough. You can grab one from TYLT or Amazon. Sure, you could just use the charger in the box or grab a $10 battery off Amazon, but if you want real power, check out these options. Anker is widely known as one of the best accessory makers in the world because they produce high-quality products for an affordable price. The Anker PowerPort II is our choice for the best wall adapter out there right now. You get the fastest possible speeds and a design that can stand up to a beating. I routinely carry one of these in my bag and have never had one issue with it. Plus, with the dual-port design, you can help charge up your friend’s device or the tablet you’ve brought with you to watch some YouTube videos! You can grab one from Amazon. These days it’s not just high-end phones that rely on USB Type C for charging. The MacBook, Nintendo Switch, Pixelbook, and a whole array of devices also use the new standard. Compatible with Quick Charge 2.0, QC 3.0, and a host of other fast charging technologies, it’s the one you want for your phone or mobile devices. But, given the length of the cable and its shielded, protective coating, you’d be forgiven for outfitting your entire household with them. Attractively priced, you can find the cable for under $7 at Banggood. Go with a standard coating and you can scoop one up for under $3 right now. If you’re looking for the ultimate battery, look here first. The Jackery PowerBar has everything. The massive capacity means it can charge most modern smartphones up to four times before depleting its reserves. The solid design means it’ll stand up to whatever abuse you throw at it and the AC plug means you can power up your laptop, a fan, or whatever else you’d normally plug into a wall. This thing is large, in charge, and will have your back whenever you need it. You can get it from Amazon. Whether you want to watch region-blocked Netflix videos or simply beef up your Wi-Fi connections, you’ll need a VPN for help. Here’s a few we love. It’s damn near 2019 which means you should have started on your smart home by now. Here are a handful of cool products to help enhance your daily living. There simply is no better lean-back experience for the home than this Android-powered console. What’s more, a strong line of steady updates and enhancements — 20 so far — make this unit better with time. Cast to it from your phone, play killer games, or binge on your favorite networks and series. Or, get your Google Play Music, YouTube TV, and Plex on. The reasons to own one are innumerable. The overall footprint of the unit is small enough that we pack it with us when we travel. Plug it in, connect to a network, and enjoy all of your content. And, if you’ve got one of the gaming controllers, you’re taking in tier-one video game titles. $180 from NVIDIA or Amazon. Whether you’re sitting on the couch, relaxing in bed, or enjoying coffee in a chair in the den, the stand aims to please. It wheels into place, articulates, and holds your tablet in either portrait or landscape orientation. Reading a book on your Fire HD tablet or binge-watching a few shows on Hulu is much more enjoyable if you can free up your hands. That’s exactly what happens here; you can sit back, relax, eat, or fiddle with your phone.